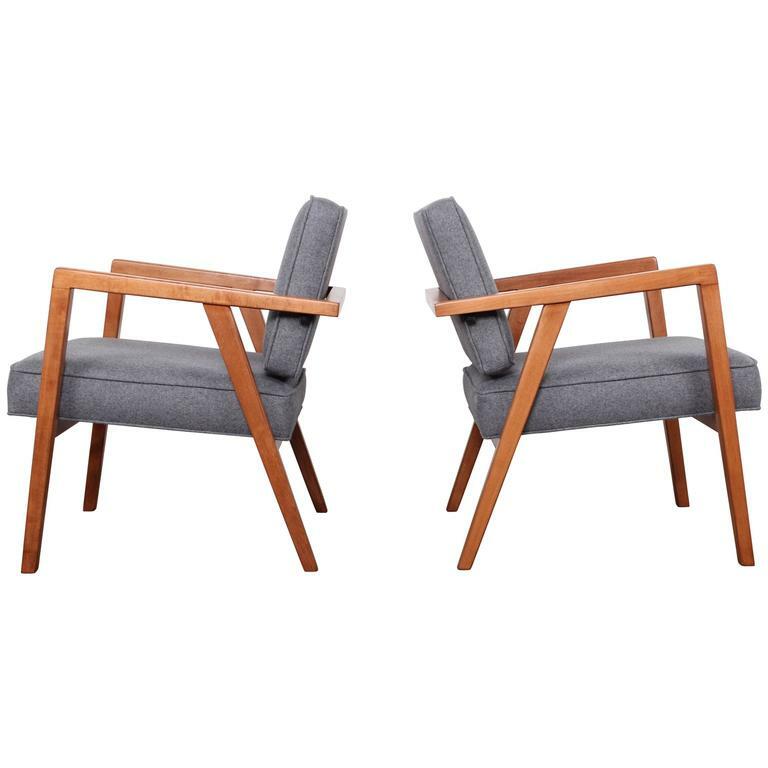 A pair of maple lounge chairs designed by Franco Albini and sold through Knoll. Fully restored. Reupholstered in Wool. A pair of Dunbar lounge chairs designed by Edward Wormley. A pair of cane back lounge chairs with brass feet and mohair upholstery. A pair of walnut delegate armchairs designed by Finn Juhl for Baker. Fully restored and upholstered in waxed leather. A pair of walnut and mohair lounge chairs by Adrian Pearsall for Craft Associates. Rare sculptural bamboo and rattan lounge chair designed by Franco Albini for Vittorio Bonacina. Stamped "Made in Italy" on underside. Sculptural rattan lounge chair by Franco Albini. Mid-Century Modern bamboo and medallion margherita pair of armchairs by Franco Albini for Vittorio Bonacina, Italia, 1950. Red cotton round pillow. Price is for two. Very nice solid chair in excellent original finish.